Tuesday, May 28, 2019, 8:00pm. Ticket with book, $40. Buy tickets here. At The Wilshire Ebell Theater, 4401 West 8th Street Los Angeles, CA 90005. Parking available in adjacent lots or there is street parking (please read signs). Your ticket(s) will be mailed to you by Brown Paper Tickets. EACH TICKET INCLUDES ONE COPY OF SENATOR KLOBUCHAR’S BOOK. ALL BOOKS MUST BE PICKED UP AT THE EVENT. WE DO NOT MAIL OR HOLD BOOKS. NO REFUNDS. Amy Klobuchar is the Senior Senator from Minnesota. Elected to her seat in 2006, she became the first woman to represent Minnesota in the United States Senate. A 2016 Medill News Service analysis ranked her first among all 100 Senators in backing legislation that became law. She has sponsored bills to end human trafficking, to fight the opioid epidemic, and to ensure that returning service members have expanded education and job opportunities. Senator Klobuchar has been active in pushing bills to protect and defend election security. Along with Senators Kamala Harris, James Lankford, and Lindsey Graham, Senator Klobuchar sponsored a bill to strengthen cyber-security in elections and to prevent future interference from foreign influence. She cosponsored a bill with Senators John McCain and Mark Warner to ensure that online and new media political ads are subject to the same rules that are applied to television and radio ads. She cites her willingness to work across the aisle to get things done, notwithstanding severe partisan divides in Congress. Senator Klobuchar sits on several Committees, including the Judiciary; Agriculture, Nutrition and Forestry; Commerce, Science and Technology; and the Joint Economic Committee. She also serves on the U.S. Senate Democratic Steering and Outreach Committee, and is the ranking member of the Senate Rules and Administration Committee, which oversees Federal elections. 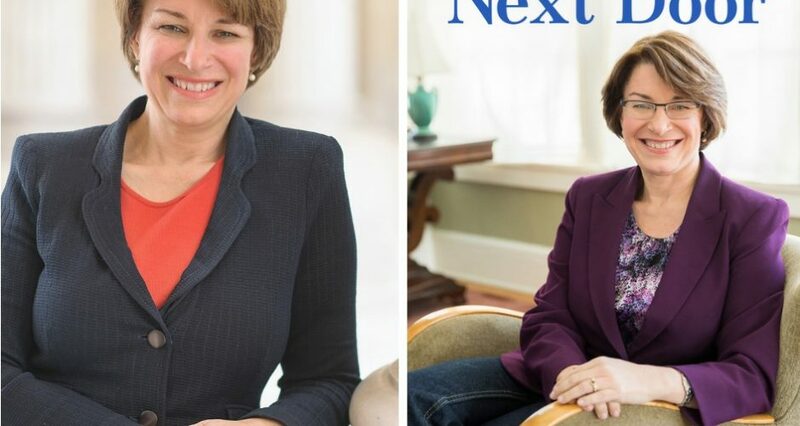 Senator Klobuchar is running for President. 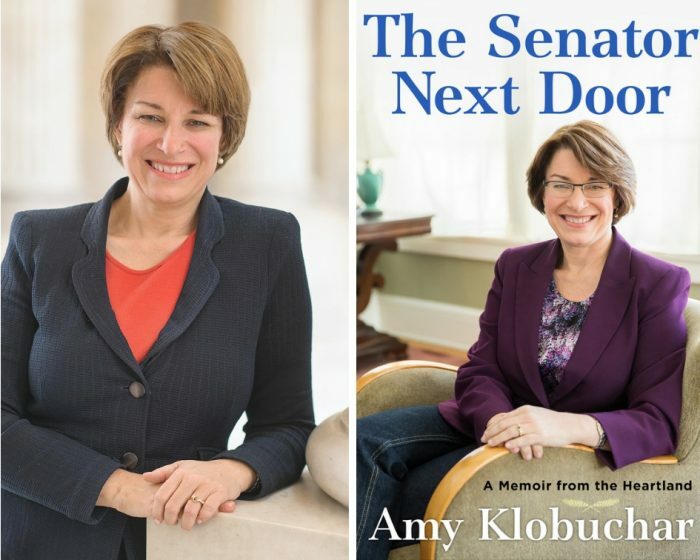 A copy of Senator Amy Klobuchar’s book, The Senator Next Door, is included with each ticket. This entry was posted in Author, Calendar, Home, Politics, Program. Bookmark the permalink.